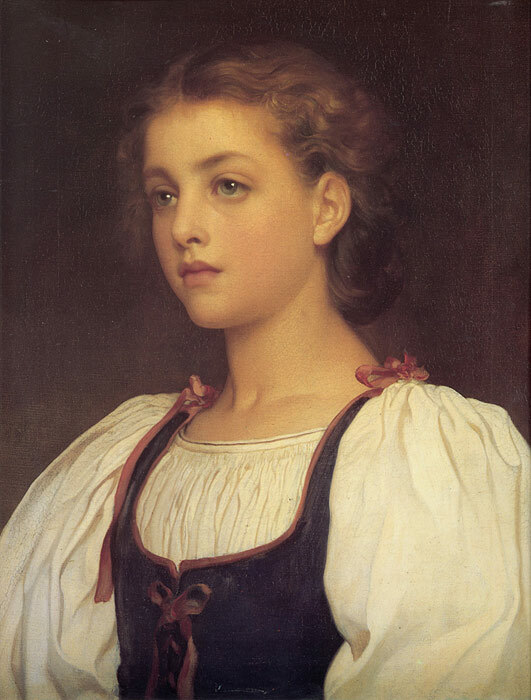 British painter and sculptor Lord Frederick Leighton was the leading exponent of the sentimental classicism and idealism of the late Victorian era, in opposition to the Pre-Raphaelites. Best known for his use of classical themes, Leighton often painted portraits in Grecian Neoclassical style. His famous original portrait of Biondina remains in Hamburger Kunsthalle. SPECIAL NOTE : The painter will make the reproduction as close to the original oil painting as possible. If you want your painting to alter from this likeness, please email us and " Biondina, 1879 " will be reproduced according to your special requirements.